Aug 25, 2015 (LBO) – Sri Lanka’s Fitch Ratings has affirmed Standard Chartered Bank, Sri Lanka Branch’s National Long-Term Rating at ‘AAA(lka)’ with a stable outlook. The full text of the rating announcement is reproduced below. Fitch Ratings-Colombo-24 August 2015: Fitch Ratings Lanka has affirmed Standard Chartered Bank, Sri Lanka Branch’s (SCBSL) National Long-Term Rating at ‘AAA(lka)’. The Outlook is Stable. SCBSL’s rating is at the highest end of the National Rating scale and reflects the credit profile and financial strength of Standard Chartered Bank (SCB; AA-/Negative). SCB’s rating is higher than Sri Lanka’s Long-Term Local and Foreign Currency Issuer Default Ratings of ‘BB-‘, and as a result, SCBSL’s rating on the National Rating scale is mapped to ‘AAA(lka)’. The rating is linked to SCB’s IDR because of SCBSL’s legal status as a branch of SCB, making it a part of the same legal entity. 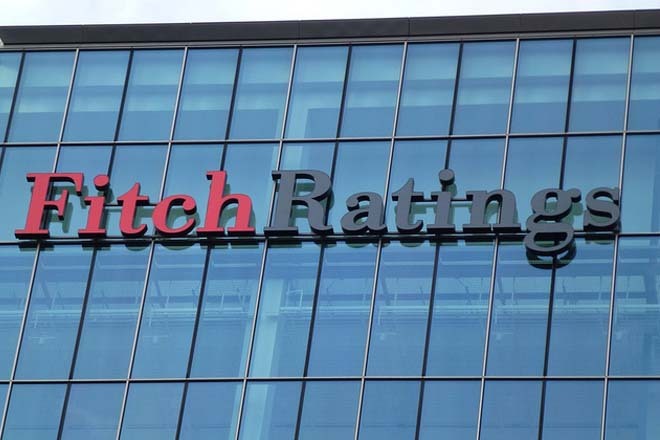 Fitch believes that support from SCB would be forthcoming if required, subject to any regulatory constraints on remitting money into Sri Lanka. Due to lack of credit growth mainly on the corporate segment, SCBSL’s loan book contracted 8% in 1Q15 similar to those recorded by other Fitch-rated foreign bank branches operating in Sri Lanka. The branch continues to provide working capital financing to its top-tier corporate clients while building its retail book, which accounted for 28% of the total loan book at end-2014 (end-2013: 26%). Fitch expects SCBSL to maintain steady asset quality relative to its peers given its exposure to top-tier clients. SCBSL’s reported gross non-performing loan ratio stood at 0.46% at end-1Q15, compared with 0.33% at end-2014. SCBSL funds its operations largely through deposits (96% of total funding at end-1Q15), although the branch has access to intergroup funding, if needed. SCBSL’s Fitch Core Capital ratio remained high at 25.6% at end-1Q15 (end-2014: 24.2%) despite the repatriation of LKR5.5bn of profit in 2014 to its head office. The previous profit repatriation that took place in 2012 amounted to LKR1.6bn. The branch is the second-largest among the Fitch-rated foreign bank branches in Sri Lanka, with an asset base of LKR128bn at end-1Q15. It accounted for 1.8% of total banking sector assets at end-1Q15.